Happy Easter Long Weekend! Rexall Pharma Plus has a hot coupon! 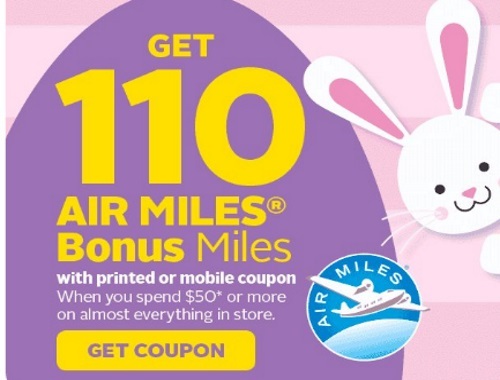 Get 110 Air Miles bonus Miles when you spend $50 or more on almost anything in the store. Offer is valid for one day only, Thursday, April 13, 2017. Show the coupon on your mobile or print it out to show the cashier.